The first wave of showers has moved out of the area, but the chance for rain remains very high for the afternoon. 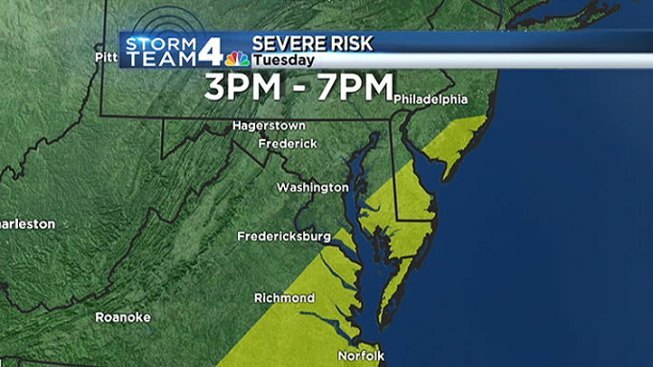 The main risk for severe weather lies east of I-95 and onto the Eastern Shore, but there could still be a strong storm or two in and around the D.C. metro between 3 and 7 p.m., Storm Team4 meteorologist Chuck Bell said. A flash flood watch is in effect for parts of the region through the afternoon. The cold front that is causing all this will move through the area around sunset. Skies will clear out quickly behind the front as a big change moves into the area Tuesday night. Expect lower humidity after midnight, and great weather to finish out the rest of the work week. Download our NEW free weather apps for iPad and iPhone. 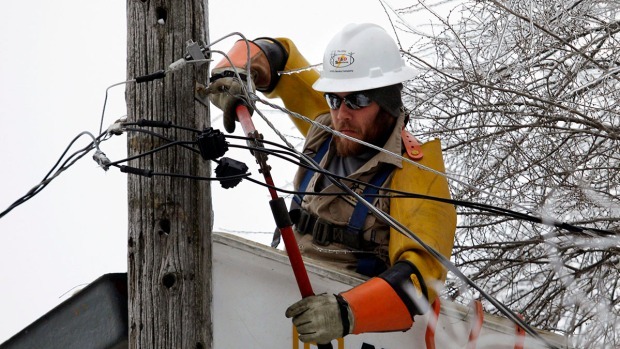 You can also follow us on Twitter and Facebook, and sign up for our e-mail newsletters.